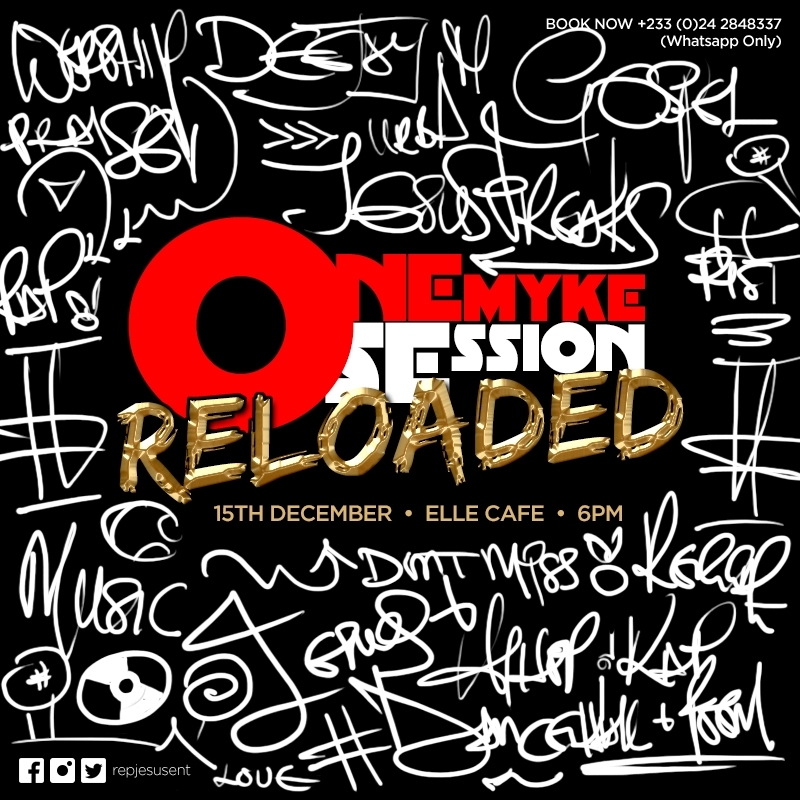 Onemyke Session is a platform to unearth creative's in the Urban Gospel community in Ghana.Do you perform Rap, Hip-hop, Reggae, Dancehall, Comedy, Poetry, Spoken Word, Afro-pop, Rhythm and Praise? Get a chance to perform at the biggest talent show live on 15th December at ELLE CAFE, 400m away from GIMPA School, West Legon. History. ONEMYKE SESSION is a platform to unearth creative's in the Urban Gospel community in Ghana. It also provides a safe hangout space for the community/Christians as a whole to socialise, the platform to perform/develop talents and network. The first ever Onemyke Session took place in 2011 and provided the platform for all urban gospel pioneers, artists and stakeholders back in the day the opportunity to showcase their talents, a safe hang out space and provide the platform for networking amongst all stakeholders in the community. This event used to happen every last Friday of the month. Senior high schools and university tours were held back in the day which gave most the acts their first touring experience. University of Ghana, Ghana Telecom Uni. College, Akosombo International School are a few of the many visited. ONEMYKE as it's popularly referred to was created by multiple award winning gospel DJ, Jaysmoke. This show has hosted and/or given the platform to artists both young and old such as, Kingzkid, Psalm One, Preachers, Heavens Connection, Jay Shady, Regardless, Esaias, Royal Priesthood, Muby Dey, RhymeSonny, God's Urban Street Disciples, Percy Freeman, RapTure not to deliberately leave any names out but primarily, every top urban gospel pioneers has passed through this show. We're extremely excited to have this show back and can't wait for 15th December. Time: 6pm prompt. It's absolutely FREE.